Euroclear - We lodge the Leased Bank Guarantee (BG) in your name on Euroclear and provide you with all the Euroclear pages confirming the BG is live and ready to deliver to you. You can then independently check and verify the BG is on Euroclear in your name and approve the BG for Swift delivery to your bank. 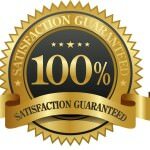 Swift.com - After you have verified the BG on Euroclear, we then commence delivery of the SWIFT MT799 followed by SWIFT MT760 to your bank coordinates. 1/ Staged Payment of the BG Deposit in 3 Payments as the BG is Delivered. This Staged Payment Structure provides Security, Confidence and Minimizes client Risk. It allows clients to commence the delivery of a Leased Bank Guarantee (BG) with confidence knowing they receive verified evidence of a real, genuine, authentic transaction prior to them making the 2nd and 3rd payments of the Bank Guarantee (BG) Deposit. 2/ Two Percent (2%) Non Performance Penalty in the Bank Guarantee (BG) Delivery Agreement. 3/ Deposit Refund Protection Program (Optional). The Deposit Refund Protection Program which is optional Guarantees clients Deposits are 100% Safe AND ensures clients Deposits are paid back in FULL to their bank account BEFORE we Deliver the Leased Bank Guarantee (BG) to the clients nominated Bank coordinates. This is a unique Program that is only available to clients of Secure Platform Funding! We specially structured this program to provide clients with the safety, security and peace of mind they deserve when Purchasing a Leased Bank Guarantee (BG) from us. We strongly recommend ALL clients complete the Deposit Refund Protection Program prior to purchasing a Leased Bank Guarantee (BG). 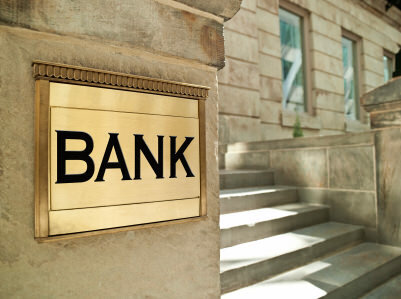 14 Massive Advantages when Buying a Leased Bank Guarantee (BG) from us! 10 Days to Complete Full Payment after Delivery of MT760 to your Bank. Simple Delivery of MT760 direct to your Bank. Your Deposit is 100% Capital Protected and Repaid in Full to you BEFORE we Deliver the Leased Bank Guarantee (BG) if you enroll in our Deposit Refund Protection Program. The SWIFT MT760 is Delivered 2 to 3 Days after the Issuing and Receiving Banks exchange MT799s. Be Direct to the Finance Source, NOT in a Broker Chain! Register here as a Broker now! 1. Within 3 (banking) days of all Parties signing the Leased Bank Guarantee (BG) Agreement the PURCHASER will pay the 1st Deposit Payment to the PROVIDER. 2. After the PROVIDER is in receipt the PURCHASERS 1st Deposit Payment. The PROVIDER will authorize a fresh cut BG / SBLC MT760 Instrument to be assigned in the PURCHASERS name at the PROVIDERS Bank and have the instrument placed on Euroclear. The PROVIDER will then present to the PURCHASER a package of 14 Pages of Euroclear documents as evidence the BG / SBLC is lodged on Euroclear in the PURCHASERS name. 3. Within 3 (banking) days of the PURCHASER successfully verifying and authenticating that the PURCHASERS BG / SBLC is lodged on Euroclear the PURCHASER will complete the payment of will pay the 2nd Deposit Payment to the PROVIDER. 4. After the PROVIDER is in receipt the PURCHASERS 2nd Deposit Payment. The PROVIDER will authorize the PROVIDERS bank to issue and send a Preadvice Notification via swift MT799 to PURCHASERS designated bank receiving account. PROVIDER shall provide a copy of the issued MT799 to the PURCHASER by email. 5. Within 3 (banking) days of the PURCHASER successfully verifying and authenticating the PROVIDERS BG / SBLC swift MT799, the PURCHASER will complete the payment of of will pay the 3rd Deposit Payment to the PROVIDER. 6. When the PROVIDER is in receipt the PURCHASERS 3rd Deposit Payment and the PURCHASERS bank has replied to the PROVIDERS Bank MT799 with SWIFT MT799 that is received by the PROVIDERS bank and is verifiable on the Brussels system at Swift.com, then the PROVIDERS issuing bank will schedule issuing and sending the BG / SBLC via swift MT760 to PURCHASERS designated bank receiving account. Provider shall provide a copy of the MT760 to the PURCHASER by email. 7. The PURCHASERS bank verifies and authenticates the MT760, and pays for the BG / SBLC within Ten (10) banking days, and pays the 2% consultancy fees/commissions as per the Irrevocable Fee Protection Agreement in this agreement. 8. Providers bank, within three (3) banking days of receipt of full Invoice payment for the Bank Guarantee, sends the hard copy original BG to the Beneficiaries Bank by bank-bonded courier. Important: Our contracts also include the purchaser returning the Leased Bank Guarantee (BG) to the Issuing bank 15 days prior to the Leased Bank Guarantee (BG) expiration. This is a critical requirement of all Leased Bank Guarantee (BG). I measure my success by asking myself some very simple questions: Did I go to bed richer than when I woke up? Did I help my investors do the same? What can I do better, or differently, tomorrow? Your Privacy is our Priority. Our Integrity is Non Negotiable! 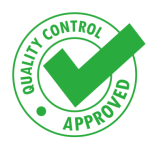 Accepted Criteria: Clients that comply with our required Client Standards and accurately and correctly complete the Buy Leased Bank Guarantee (BG) Application. Any Bank Guarantee (BG) that is required to be delivered to a Provider on this Banned Providers List. Any Bank Guarantee (BG) application where the client cannot or does not want to pay the required Deposit. 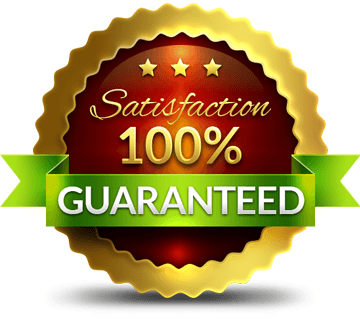 Our Purchased Leased Bank Guarantee (BG) delivery service is Non Negotiable. We do not change the terms, structure, delivery procedures or prices of this service. We do not offer FREE Leased Bank Guarantees (BG) or allow clients to pay for the Bank Guarantee (BG) after the MT760 has been received. If the Bank is not paid to send the Bank Guarantee (BG), then no Bank Guarantee (BG) will ever be sent or delivered. Banks simply do not work for free or on the hope that after they deliver a Bank Guarantee (BG) by MT760 that the client may pay them. For more information on this, please read here. Secure Platform Funding requires clients meet key standards and pass compliance in order for us to consider working with them. We do not accept all clients because doing business with Secure Platform Funding is a unique Privilege given solely to real, genuine, authentic clients, not a Right that is attainable by all. View our required Client Standards here. We solely deal with real deals, real people and real Leased Bank Guarantee (BG) that need to be delivered to our clients nominated bank accounts. The Bank SWIFT Network is the Gold Standard that validates all aspects of this transaction and provides a respected industry platform where a safe settlement can be facilitated. Close your successful transaction with Secure Platform Funding. With 35 Years of Finance and Banking Industry Experience the Secure Platform Funding Executive Team understands the Banking Industry from the Inside, because members of our Executive worked in the Financial Instruments Department of a World Top 25 Bank. We can Achieve Results others can't because we understand from the Inside, what it takes to close a deal from the Outside! Why are Mt103/23 & One Way & Two Way Fraud? When is a Barclays Email NOT a Barclays Email! Hawkins Funding Limited – Scammer WARNING! Where are all the BG & SBLC Providers? New BG, SBLC, MTN Providers WANTED! 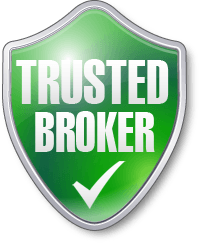 11 Secrets to Broker Success! Bass Mint Management Group & Carl Edward Osias – BG & SBLC Fraud Confirmed! The New Swift.com Deception: Pretend Swifts! The Leased Bank Instrument Monetization Myth Solved! Another Fake BG Issuer Exposed for Sending Forged Swifts! Secure Platform Funding now on Twitter! Secure Platform Funding is a Scam Free Zone! Swift MT799 Blocked Funds Program Released! Lessons Learned From The Panama Papers…. Why were the Wealthys Secrets Exposed? Think your Email is Private…… Think again! Money as Debt – The Banking System Exposed! 9000 Brokers, 1000 Scammers, 15 Real Service Providers! BANK GUARANTEE WARNING: 5 Ways to Lose Money – Beware! What Funding LTV can I get on a BG, SBLC or MTN? The ICBPO Payment Myth….. Exposing the Truth! Bank Guarantee Warning Signs…. BEWARE! Bank Guarantee vs SBLC – Which is Better? What is a Bank Guarantee? Copyright © 2016 SecurePlatformFunding.com. All Rights Reserved - Secure Platform Funding was Established in 2008 as a Financial Wholesaler and Direct Provider that Monetizes: BGs (Bank Guarantee), SBLCs (Standby Letter of Credit), MTNs (Mid Term Notes), LTNs (Letra do Tesouro Nacional), Financial Instruments on Euroclear, as well as offering PPP (Private Placement Programs). We Issue BGs (Bank Guarantees) and SBLCs (Standby Letters of Credit) from Rated Top 100 Banks. Disclaimer: The information on this site is intended solely for the benefit of firms and individuals seeking to be connected with financial information including, funding and monetization sources, PPP (Private Placement Programs) and financial instruments. The material on this site may list possible service features and / or sample institutions for informational purposes only. None are guaranteed and all are subject to change on a daily basis. Nothing on this website constitutes an offer or solicitation to purchase any investment, solution or a recommendation to buy or sell securities nor is it to be construed as investment advice. The services featured on this Web site may not be available in all jurisdictions or to all persons/entities. We select our clients carefully and do not accept all applications. Due to FATCA (Foreign Account Tax Compliance Act) we DO NOT provide ANY services to US Passport Holders, US Companies, clients utilizing Banks located in the US for transactions, or Clients that Reside in the US, or Businesses with Head Offices located in the US. By accessing this Web Site users acknowledge that Secure Platform Funding has advised them all transactions have risk, and that prior to entering any transaction all clients should undertake to consult Independent Legal and Accounting Experts prior to commencing, signing or committing to any transaction. Our Business is neither a Mutual Fund, Bank, Broker, Finance Company, Financial Adviser or Licensed in any way. We hereby advise all clients that any contemplated transaction(s) of our Clients are strictly private and in no way relate nor does not involve the sale of registered securities. References to the transaction networks Euroclear, Dtcc and Swift on this website do not imply any affiliation with or endorsement by those parties of Secure Platform Funding. References to those companies solely record real transactions networks and processes that are commonly used for the completion and settlement of client transactions. All transaction information is strictly private, confidential and classified and not to be provided to parties not approved in writing by Secure Platform Funding nor published or referred to in any public forum on the internet or in the media. Disclosure, copying, distribution, reprinting or reuse of the contents or information on this web site is completely and totally prohibited. Disclaimer: For security purposes, staff training, to assist in resolving complaints and to improve our customer service, all our email communications are monitored & telephone calls are recorded.